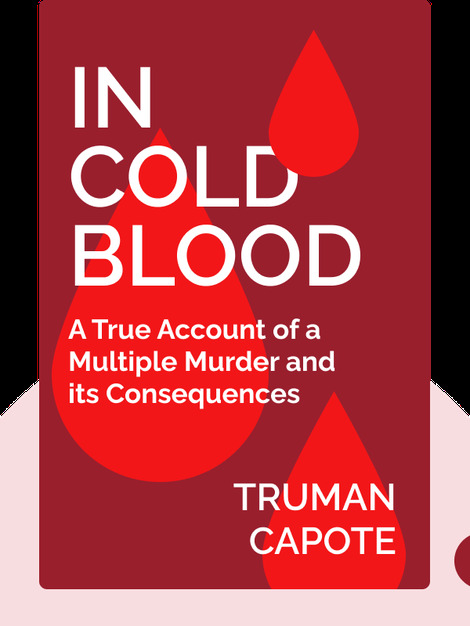 In Cold Blood (1966) tells the true story of a multiple murder that baffled both police and the public in 1959. These blinks recount how investigators gradually unraveled a meticulous yet simple plan devised by two criminals without scruples or remorse. 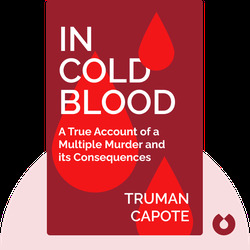 Truman Capote was one of the most prominent postwar American authors. Born in New Orleans in 1924, he dropped out of school at 15 and traveled to New York, where he got a job with The New Yorker. He went on to become a celebrated writer of both fiction and nonfiction books.